You are working on making small improvements to your home. After completing some smaller projects, you may have decided you would like to replace old doors in your kitchen with newer selections. 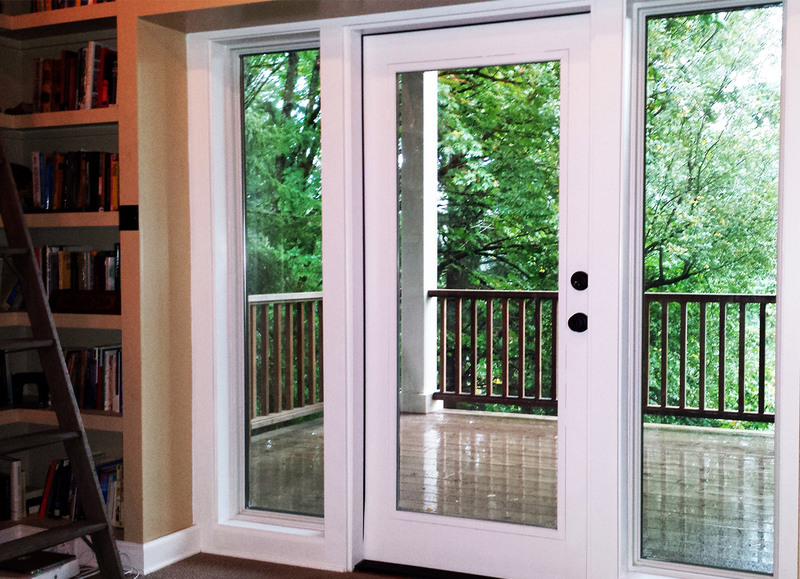 French doors in Portland OR are the perfect replacements because they add beauty and value to just about any property. Some people like the idea of French doors, but are too afraid that they will not have enough privacy or safety in their home. However, the lack of safety is just a myth. These doors have locks installed on them that allow homeowners to keep them shut and secured. As for preventing people from looking inside of the home, there are curtain panels in a variety of colors and designs that fit perfectly over the French doors in Portland OR. Why sit in darkness when there is still plenty of sunlight outside? If you love the natural light, these doors are the perfect choice for you. The sun shines through the glass and makes the home brighter. You may save money on your electric bills because you would not have to turn on lights in the room as often. Whenever you do not feel like dealing with the brightness of the sun, you could easily place the curtain panels over the glass section of the French doors in Portland OR to block it out for a bit. You may have no intention of moving out just yet, especially if you are still paying to have different improvements made to your home, but one day you might decide to move. If you do relocate in the future, your home may be worth more than it was when you first moved into it because of different improvements you have made, such as having these beautiful doors installed. Enhance the look of your kitchen while bringing in more sunlight at the same time. The French doors in Portalnd OR are beautiful, convenient and may make your home more valuable.